This copyright is registered with the Library of Congress. 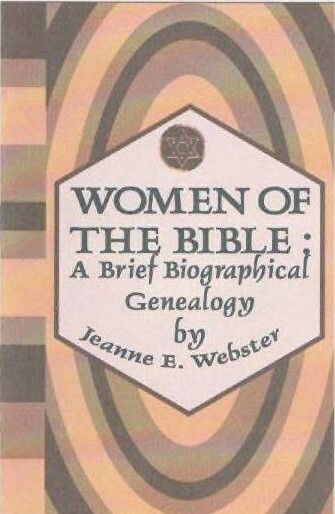 THIS REFERENCE WORK DELVES DEEPLY INTO THE WELL OF SCRIPTURAL RECORDS TO PRODUCE A BOUNTIFUL RESERVOIR OF THE NAMES, MEANINGS, RELATIONSHIPS AND ANECDOTES OF EVERY NAMED WOMAN OF THE BIBLE. •	Co-wife with Abital, Ahinoam, Bathsheba, Eglah, Haggith, Maacah, Michal, and others. Abigail, a beautiful and wise woman, was the wife of Nabal, a rich herdsman. There is no mention of her ancestry in the scriptures. She saved Nabal’s life following his refusal to feed David and his troops during one of the king’s many flights into the wilderness while avoiding Saul’s forces. Nabal’s inaction quickly invoked David’s wrath, putting him and his household in dire jeopardy. Hastily gathering the requested supplies for David, Abigail dissipated David’s anger. Shortly thereafter Nabal died suddenly of a stroke possibly brought on by a bout of heavy drinking. Abigail was later offered a marriage proposal from David and accepted it.